Grant Lee Harper, 23, of Olathe, passed away on November 14, 2018. He was born on July 31, 1995 to Tony and Barbara (Dalton) Harper in Kansas City, MO. Grant was born and raised in Olathe, Kansas. He graduated from Olathe East High School in 2013 then received his Associates Degree from Johnson County Community College. Grant loved living life to the fullest, especially with friends, family and the cul de sac crew. He was a city boy with a country heart. He enjoyed riding dirt bikes with his dad and brother, time on the boat, trips to the lake, as well as visiting family in Centralia and St. Louis. Grant loved spending time with his many friends on trips to Colorado, Table Rock Lake, and Truman Lake. Grant did not know a stranger and could light up a room with his outgoing personality. He will be lovingly missed by each life he touched. Grant is survived by his loving parents Tony and Barb Harper; brother Cole Harper; grandmother, Shirley Harper; grandfather, Edward Dalton (Doris); loving aunts and uncles, dear cousins and many friends. He was preceded in death by his paternal grandfather, Billy Joe Harper and uncle Gary Harper; maternal grandmother, Corinne Dalton. A memorial service will be held on Sunday, November 18, 2018, at 1:00pm at Penwell-Gabel's Olathe Chapel, the family will receive guests following the service for a visitation from 1:30-4:00 pm. In lieu of flowers, memorial contributions may be given to Alzheimer’s Association, Kansas City Pet Project, or charitable donation of your choice in his honor. To leave a special message for his family or to share a memory of Grant, please click on the "Share Memories" tab above or scroll down below. Add your memories to the guest book of Grant Harper. I can’t describe the pain I felt when I heard you were gone. I love you and miss you so much. You always knew how to make everyone smile and burst out in laughter. Thank you for always being there for me and being my buddy. It was the biggest privilege and blessing to have you as my best friend. I don’t want to think of a world without you. You are one of a kind and I can’t wait till we meet again, fly high beautiful angel. Grant was truly an Angel. The way he carried himself; Selfless, and made others smile. I will never forget his vigorous attitude. Through his own suffering he still strove to make people smile, laugh and feel loved. He never knew a stranger in a room full of people. Words can not describe the amount of joy he brought to others. They say time heals all wounds, but I feel this is not true due to the amazing man his family and friends lost. My heart goes out to his family and friends in such a dear time. I am truly sorry for your loss. We love you grant! I only worked worked with Grant when he worked with the City of Olathe for a few months. He reminded me of a good ole country boy full of smiles and cheer. Always willing to help do whatever was needed with that smile of his. A great co worker. Words cannot express my deep sorrow for your family, May God wrap you in his arms and give you strength, my thoughts and prayers are with you. We just wanted you to know that Grant was always very friendly. He would frequently holler out a loud "Hi There" to us. We will miss seeing him shoot buckets on the street. We'll say a few prayers for him and you too. We loved you so much ! you were a light , when you came into our house and lake house .. everone knew you were there ..
Anthony ! loved you so much , I wish you would have reached out to anyone who loved you ..
What a handsome man !! who was loved by everyone who touched you .. a shining star you were .. and my grandson will forever, and ever , miss you .. as we will .. you were a very tall guy and had to bend over when coming into our house , at the lake but! the hugs you gave were the best always laughing and making jokes .. I can't tell you how much we will miss you .. and the heart break you have left behind !!! Anthony , will always be thinking about you !! 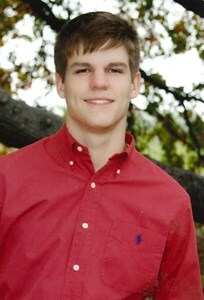 you were his best friend and closest confidant as well as the group you grew up with .. we will love you forever Grant ! may God wrap his arms around you .. Forever in our hearts . He was a scientist, a visonary. He understood the meaning of life and what it takes to stay positive, to be positive. Grant was always positive, always inspirational, always thoughtful. He hid these keen traits from many people, always looking from the outside in with his beautiful insight. He loved to observe, to decipher right from wrong with strong leadership potrayed from his stellar confidence. I looked up to him as a father, that's how unique his maturity was. He got along with old folks just as well as he did with folks his age, like myself. His understanding of the universe, of friends, of life, and of happiness came of his experience for his quest and thirst for a better and happier world. He knew what he wanted in life, and what he wanted was the best for friends. He loved his friends more than anyone could love a friend. We all had great expectations for his loving personality, and though he is gone, his glow is still shining through the genuine memories of his actions and words. He loved to inspire, and inspire he did. He loved to laugh, and laugh he did. Happiness was simple to him, as deep as a person he was. Everything affected through him was touched by him, and vice versa. Only a truly remarkable character could display such trust, brilliance, and insight in light of others, and to make others feel stronger and happier. God bless his beautiful soul. He is and always will be Grant, the man we can always count on when we're feeling down and out. The man who is always there for you and will always be there for you. The man who turns boys into men, and girls into ladies. He helped me become a man, and helped me feel less alone. I'll always think of him when I'm feeling lost or alone, and it will make me feel better knowing his presence is eternal and comforting. Though his body has departed, his soul will prosper into the greater rhelm of the universe, where it may exist in all places, forever impacting our feel. And his soul comes with sweetness, and generosity. Life is short, no need to make it shorter. Let this man teach us his final lesson: and for me that lesson is to live and give, and love our friends like family. We are all here for each other, just as Grant was here for each of us. Back in 2009 it seems like I was playing xbox every single day with Grant. We'd all get home from school and hop online. Staying up till 4 am almost every weekend. I have countless memories of laughing till we were all crying. Grant was and will always be a shining part of those memories. I hold him dearly in my heart now and there he will stay, never to be forgotten. A true friend. Grant will be sincerely missed, I only had the pleasure of the last 4 weeks in training at HomeAdvisor to know Grant. Every morning he came in laughing and cutting up with jokes and encouraging comments toward making the day fun. He sat behind me and would always give me a fist bump to start the day. I am so glad he was in my class and I got to know him because I will always remember those hilarious jokes and corky smile. Praying for all of you, at this sad time of your loss.